The Bears return to Plaster Field on Friday, August 27, for the regular season home opener against UALR in a 7:00 p.m. tilt. The Bear’s dropped their season opener at North Texas, 2-1 last Sunday in Denton, Texas. With temperatures near 100 degrees and heat indices even higher, the Bears battled the Mean Green and the elements to open the season. Freshman Brooke Williams scored the goal for the Bears in the 2nd minute of play, on an assist by Rachel Weimer. 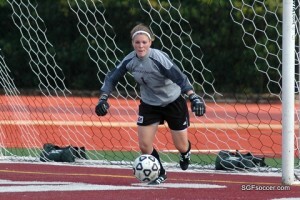 The UALR women’s soccer team (0-2) fell to the Tulsa Golden Hurricane (2-0), 5-1, last Sunday afternoon in Tulsa. Danielle Dunsworth scored the lone goal for the Trojans while goalkeepers Jane Picarelli and Michelle Pittman combined to make nine saves in defeat. The Trojans ran into trouble early in the contest and had trouble disrupting the offensive momentum of the Hurricane. Tulsa, coming off a 4-0 defeat of Northwestern State, scored all five of their goals before the end of the first period. The Bear’s travel to Tulsa on Sunday September 5th.